In organization it may have branch offices, stores in different geographical locations. Some of these branch office network infrastructures may not need integrate with the cooperate network. For example if it’s a sales office they may communicate with the Head office just through email or phone. So that branch office network will work as separate independent structure. But it’s not always simple like that. Your branch office also may need to be a part of cooperate network. In such requirement we need to properly plan out what services needs to deploy on branch network and how each services, resources should optimize in order to maintain connectivity with cooperate network as well as maintain security and availability. 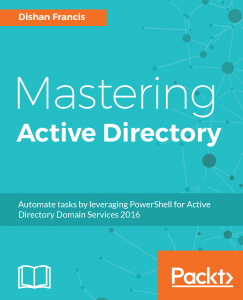 Active directory also crucial in the branch office infrastructure design. Correct placement of associated services also important. Idea of this article is to provide tips and tricks which will help to build a proper branch office network. 1) How branch office network and cooperate network connected? 2) What is the bandwidth between the locations? 3) What sort of operations, branch office will do? 4) What data, resources branch office depend on from cooperate network? 5) How often those should update or access? 6) Who will manage the infrastructure? 7) What sort of security measure should take on infrastructure design? 8) What are the risks involve and how we can mitigate them? Answers for those questions are depend on the organization business model. But if you have proper answer to those questions before the start implementation it solves 75% of the problems which can occurs in network. GC server is distributed data repository that provides searching and login in AD forest. Placement of this depend on the link between branch office and the cooperate network. It will help to optimize bandwidth usage as we can use this to facilitate local login without going through WAN. This is used when global catalog server is not in place in branch network. This also can use to prevent additional traffic use for authentication process between cooperate network and branch office network. You must install DNS role in the branch office network even it’s a RODC. So users in branch office can query for DNS records even connectivity to cooperate network unavailable. If it’s RODC you can use primary read-only types. So it copies all the forest and domain DNS Zone files. If its not RODC you can keep it as secondary DNS server. If the devices in branch office going to use DHCP for ip assignment it is important to deploy DHCP server in branch office. It reduce support issues, and traffic on the WAN link. It also help to maintain the availability even WAN is down. This is also very important in branch office network. It helps to cache the content which is accessed from cooperate network. This runs on two modes. 1) Distributed cache mode – This distributes cache content among the user computers. 2) Hosted cache mode – this stores cache content on the server in branch office and distribute data from there. Recommended mode to use is hosted cache mode as it increases the cache availability and also multi-subnet access. However it depends on the budget and the requirements as it need server. These are the main services which is important for branch office network design, but depend on the operation requirements you can place other services and optimize it for branch office network use. How to install Certificate Services in Domain Environment ?